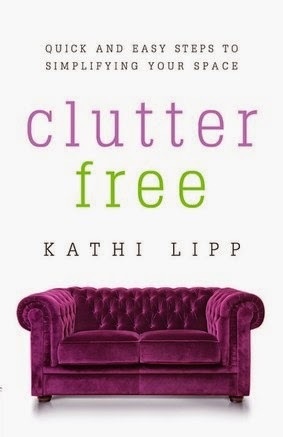 I was happy to be part of Kathi Lipp's Clutter Free launch when I first signed up, but I have to tell you I am now thrilled. Clutter Free: Quick and Easy Steps to Simplifying Your Space has inspired and motivated me to finally take serious action against the clutter in our home. I highly recommend this book if you have too much stuff! How about a little giveaway to kick off 2015? Be sure to read to the end for the giveaway of this great book. I'm not even through reading Clutter Free yet, but I am taking action every day to find more STUFF to remove from our home. 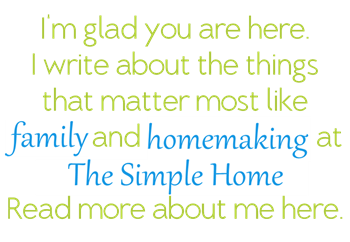 If you are a long-time reader, you know I sometimes write about cleaning and organizing. What I have learned is that I need to get to the heart of the matter. The heart of this matter is STUFF and why I bring it into my home. I can't clean and organize effectively with clutter in the way. Removing clutter is just a starting point if I'm just going to go out and buy more stuff. In addition to removing 2,000 items from my home, I have also learned to examine why I buy more stuff to bring into my home. 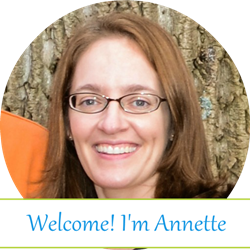 In Clutter Free, (affiliate links) Kathi discusses the Why, What, and How of clutter. Her writing has inspired and motivated me while getting me to think a lot more about my own actions. Kathi is not an organizer, but she has learned how to manage and control the clutter in her home and writes in a way that inspires instead of criticizes. In a week's time (and four of those days were spent out of town), I've gathered 200 items to be removed from our home using Kathi's three-box, two-bag system. The boxes are "Other Rooms," "Put Back," and "Give Away." The bags are for recycling and trash. Clutter Free: Quick and Easy Steps to Simplifying Your Space is the perfect combination of practical and motivating. I HIGHLY recommend it (though I'm not quite done). If you are serious about getting rid of your STUFF, this is the right book for you. 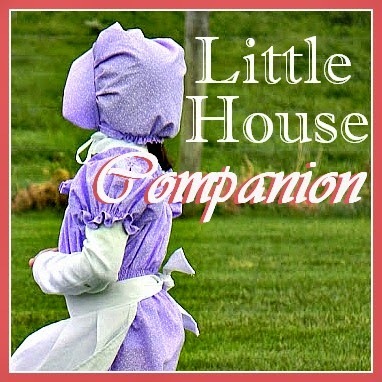 Kathi writes from her heart so there are some (not a lot) faith elements included. Once you have the book, I highly recommend you join Kathi's 21-Day Clutter Free Challenge. You won't wait until you finish the book to take advantage of all of Kathi's insight and ideas. Updated: I have finished the book and continue to sing its praises. Practical. Honest. Motivating. 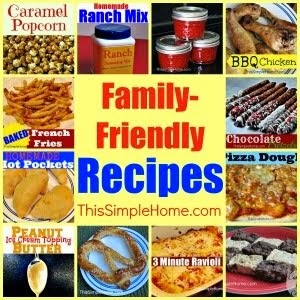 Be sure to read some of my own practical and simple ideas for cleaning and organizing. Giveaway is now closed. Amy at Hope is the Word is the winner. Congratulations. If you didnt' win, I recommend you buy a copy! It's good stuff. 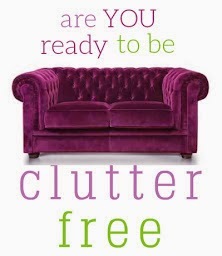 Kathi is providing one reader with a copy of Clutter Free: Quick and Easy Steps to Simplify Your Space. If you are ready to tackle your clutter, this book is for you. To enter, please leave a comment below with your biggest clutter problem and your email address for contact purposes. 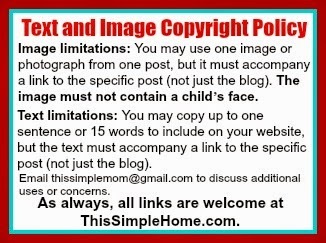 For a second entry, please follow This Simple Home by email or RSS feed (and confirm the subscription) and leave a second comment saying how you follow. Giveaway ends January 5, 2015 at 6 p.m. EST. Open to US residents. The winner must provide their mailing address to me by 3 p.m. on January 6th or I will choose a new winner. (Sorry for the quick turnaround, but I have a deadline.) If you have problems entering, let me know. Paper. Oh, the paper. It never ends. And it multiplies. Or both. I NEEED this! Thanks for sharing! Great job decluttering Annette! Wish I could enter this giveaway but I'm in Canada. Good luck to everyone else! Happy decluttering in 2015! Also signed up for the weekly email. Usually my closet (which is where I stuff things I don't want to deal with at the moment) poses the greatest clutter problem. And I follow you via bloglovin AND Facebook (when I'm on FB). Paper, desk, files, bills, paper paper paper... and kid's activities and toys. Yeesh! My pantry is my biggest clutter zone! I would say that my biggest two clutter problems are books (!!!) and paper. I see you on FB when I'm there, and I just subscribed via email. Opps, it looks like my first comment never showed up - My biggest struggle are holding onto things that are slightly broken or I just don't need anymore because I think I'll need them "some day". Hello. I'm Hoping to receive your clutter free book for free even though the giveaway is most likely over.